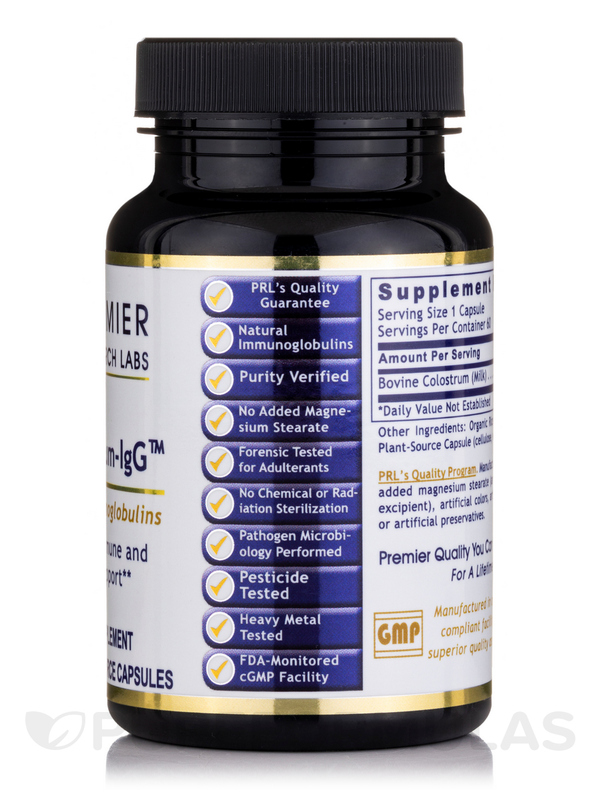 Colostrum IgG by Premier Research Labs was recommended by my wellness coach. 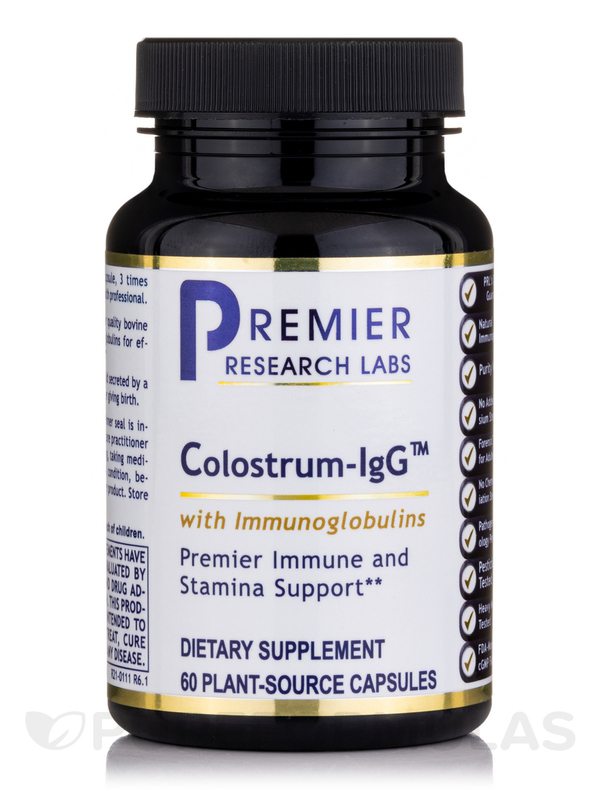 Immune building, Colostrum-IgG by Premier Research Labs is great for staying strong especially during Winter months. Other Ingredients: Organic rice fiber‚ vegetable cellulose capsule. 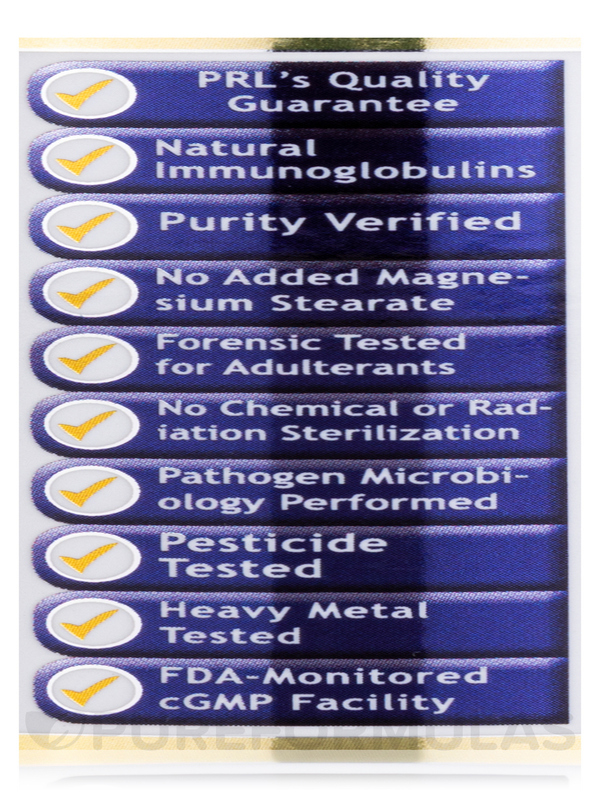 Take 1 capsule‚ 3 times daily‚ or as directed by a health professional. Colostrum-IgG by Premier Research Labs seemed to make my gut just feel better overall, especially when I first started it. After being on it for a while, I can't tell much of a difference anymore. Great product for the price esp. 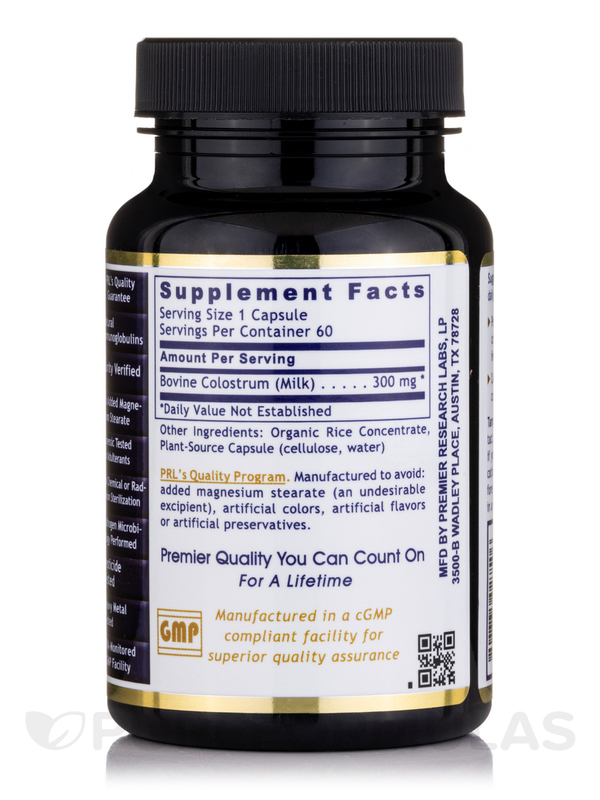 when compared to other Colostrum, this one passes them all by far since it works almost right away and other brands seem to take about 2 weeks. 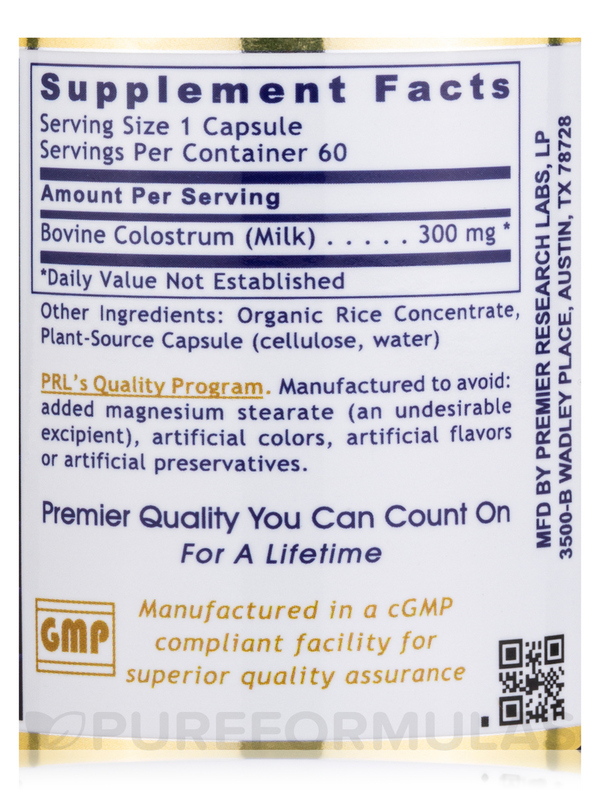 I have been taking Colostrum-21 for 4 years. I work in a hospital and almost never get sick thanks to the colostrum. When I do get sick it is always a mild case. 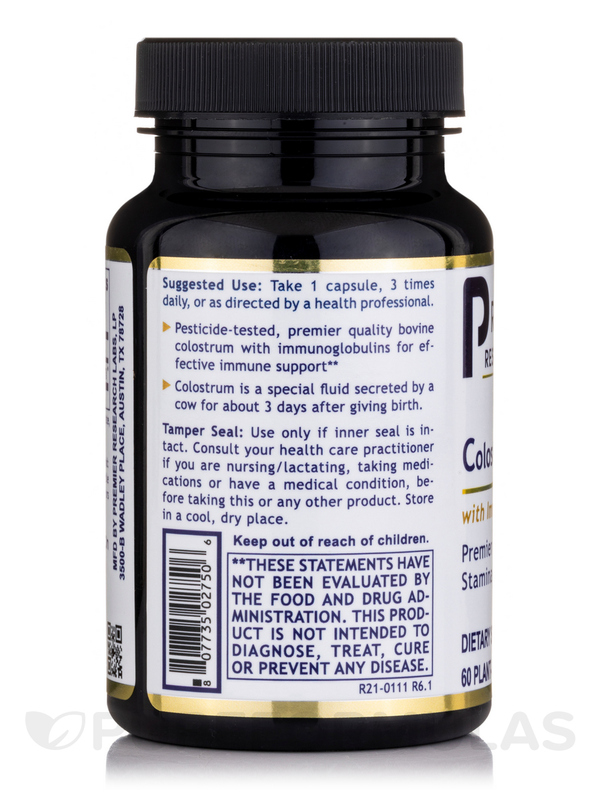 Colostrum-21 is a great colostrum supplement. No excipients. Fast free shipping.